Do you need a custom inflatable archway for an event or a sporting day? Then you’ve come to the right place. Here at Dynamic Gift, we have all the tools you need to create a bespoke archway for your upcoming event. Get in touch with us today to see what we could do for you. At Dynamic Gift, we understand that you want custom inflatable archways that create an impact. That’s why all our arches are fully customisable, allowing you to include your brand or corporate message in any way you see fit. Branded archways are great for outdoor shows and sporting events, providing a focal point to promote your brand. Why not use our arches as an entrance to your event or as the finish line for your marathon? Custom inflatable archways are also useful for sports teams. Your team can use us to make an entrance that looks just like your team emblem or mascot, creating a special atmosphere and buzz as you make your way onto the pitch. We’ve already designed custom archways for teams in the AFL, and we can do the same for you. All our archways can be customised to fit the requirements of your brand. Not only can you include your brand, but our sophisticated printing technology allows you to create visually exciting designs using colour gradients. With so much customisability, there’s practically nothing we can’t do. We offer two printing options depending on your budget. You can either choose full-colour print, where the entire surface of the archway is printed with your design or customised pin-up banners. You can select arches of varying sizes too, from a minim of 4 metres up to an impressive 30 meters. Finally, we provide you with a kit of everything you need to correctly setup your archway, including the carry bag, tie-down ropes, sandbags, and powerful mains-powered air pump. You want your customers to have the best experience possible with you at your event, whether it’s a product showcase, tradeshow, sporting day, or corporate event. Custom branded inflatable archways can create a big impact and high visibility for your company brand, especially at busy events. Archways are also perfect for finishing lines at sporting events, creating a focal point. Events aren’t always cheap. That’s why it is imperative that you use them to show off your brand. Our custom-printed archways are the perfect way to get your brand image and messages in front of people. Being a focal point, archways necessarily attract attention. Custom event archways are a great way to create an atmosphere at any sporting event. We can manufacture your inflatable archway with any design you like to reflect your team emblems or mascot. Just let us know what you want, and we will do the rest. Why Choose Dynamic Gift For Your Inflatable Archways? 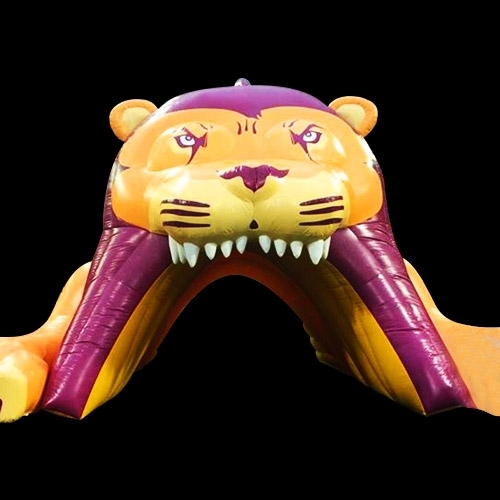 There are many custom inflatable archway makers throughout Brisbane, Melbourne and Sydney, so why choose us? Fast turnaround times. At Dynamic Gifts, we know that the needs of business change all the time. That’s why we offer our “rush service,” providing you with a custom inflatable archway in under ten days (and in as few as three). Reinforced seams. Business environments can be demanding. So too can sporting events. That’s why all our archways are reinforced with an additional two-inch strip of vinyl along the seams. With us, your arches will remain fully inflated throughout your entire event. Custom sizes, prints and colours. Every company and event is different. That’s why Dynamic Gift gives you full control over the size, prints and colour of your archway. To ensure that our branded products are consistent with your corporate logos and images, we use state-of-the-art printing technology and software to match colours accurately. Your archway will seamlessly fit into your brand portfolio, allowing you to get on with what matters most: organising your event. Two-tone printing available. Our two-tone printing solutions create a huge impact, immediately attracting attention. Free artwork service. Not sure how to incorporate your brand images? Our 100 per cent free artwork service can provide you with virtual samples, straight to your inbox. All you have to do is tell us which you like. All the equipment you need is included. Here at Dynamic Gift, we never leave you in the lurch. We supply all our archways with the necessary equipment you need to set them up, including tie-down ropes, sandbags, and high-powered air pumps with a mains connection.